Hart Lee tree surgery and stump removals are a family run company constructed by Tony Hart and his farther David. 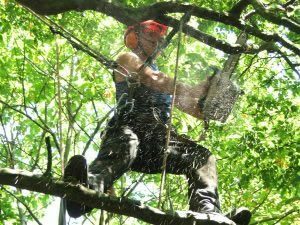 Tony has been in the arborist industry since 2004 and holds all the relevant NPTC certificates that are required; Tony is also a qualified platform operator if needed on site. All of Hart Lee tree surgery staff have the relevant First Aid at work training and are covered by £5m employees insurance, Hart Lee also has £5m Public Liability insurance, all of our clients will receive a copy with their estimate for work to be carried out. On request a copy of our safety method statement and site risk assessment can be supplied. We are highly recommended around the south east by our clients, who have helped build the business to a high standard. 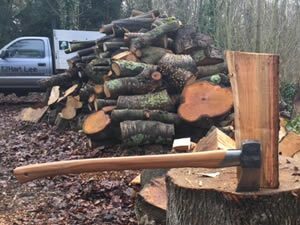 All of our tree surgery work is carried out by competent arborist in accordance to British Standards BS3998:1989 ‘Recommendations for tree work’. Removal of all dead wood from the tree to prevent damage/injury from fallen branches and to protect the tree from possible infection. 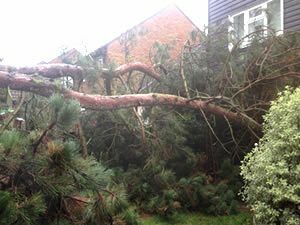 Storm damage and insurance claims for your Kent property. We strongly believe in caring for our environment, so whenever possible we use recycled materials in our work, and also endeavour to recycle the waste products we produce. 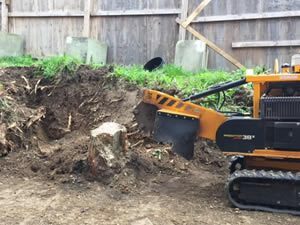 Exactly that, we can clear your site of all trees, tree stumps, shrubs and all other vegetation there may be.